Having acne and pimples on the scalp is not uncommon yet not as common as acne breakouts of face and even back. However, they usually go unnoticed as they are covered with hair. At times, though, these acne breakouts on the scalp become irritated due to shampooing, brushing, scratching, and blow drying. In some cases, scalp acne may even be painful and lead to flaky scalp. Like acne on face, scalp acne is caused by clogged pored (hair follicles) due to dirt, oil, and sweat. Thus, factors like overactive sebaceous glands, hormone fluctuations, genetic predisposition, stress, drug toxicity, poor hygiene, and excessive use of oily hair styling products contribute in acne on the scalp. Furthermore, scalp acne can worsen if the zits become infected with bacteria. Individuals dealing with dandruff, scalp folliculitis, scalp ringworm, scalp psoriasis, and head lice are more likely to suffer from this problem. Wet your hair and then pour a solution of equal parts of apple cider vinegar and lukewarm water on your hair while massaging the scalp. Finally, rinse it off after about five minutes. 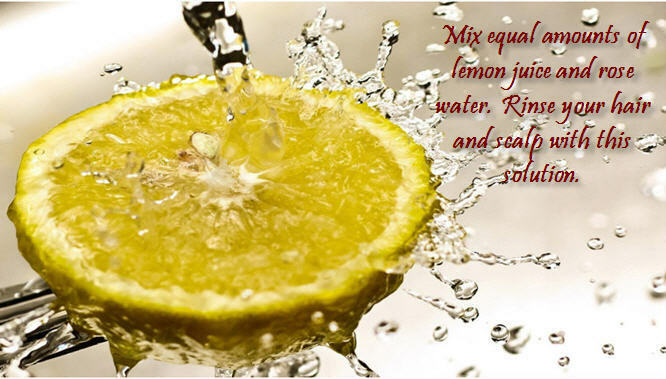 It helps clear the pores, disinfect the scalp, and restore the pH balance. Thus, it treats scalp acne, dandruff, itching, and head lice. Plus, it works as a natural detangler and leaves your hair soft and smooth. This remedy is also good for those who have curly hair. Tea tree oil has antiseptic, and anti-fungal, anti-bacterial and anti-viral properties useful for healing dandruff and scalp acne. In addition, it limits oil production on the scalp without leaving it dry, unblocks the pores, and helps soothe redness and irritation. This essential oil is beneficial for minor wounds, warts, insect bites, ringworm, athlete’s foot, and other skin conditions as well. When using tea tree oil, you can either dilute a few drops of the oil in water or some light base oil like jojoba oil. Besides, you may use a tea tree oil shampoo. 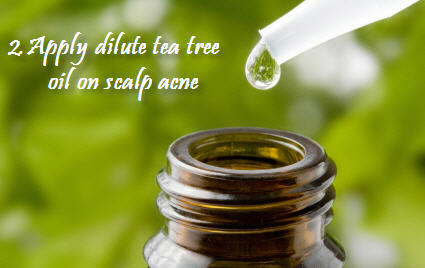 However, avoid using tea tree oil if you have sensitive skin, or else it may cause blistering and rashes. You can also try neem oil or groundnut oil to cure pimples and pustules on the scalp and reduce itchiness caused by these lesions. 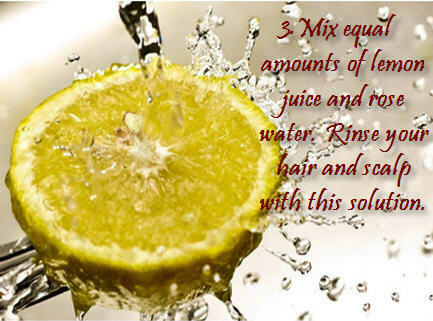 Rinse your hair with the lemon and rose water hair rinse, wash it off after 15 to 30 minutes. This wonderful hair rinse fights bacterial infection, removes excess oil, reduces the problem of clogged pores, and soothes inflammation. Fenugreek leaves help prevent and reduce acne breakouts on skin as well as the scalp due to their anti-inflammatory properties. 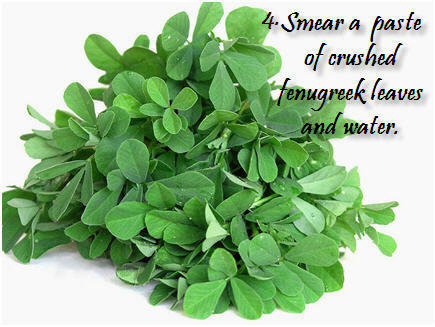 Crushed fenugreek leaves can be left on the affected area either for 10-15 minutes or overnight, and then removed with lukewarm water. Moreover, you can apply a paste of neem leaves as well. 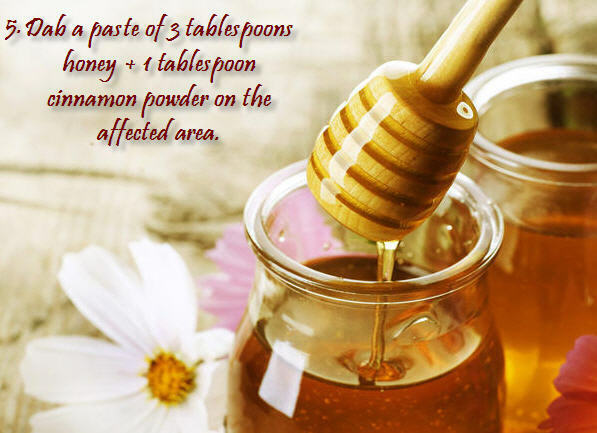 The honey and cinnamon paste works as a good home remedy for acne, even on the scalp, when applied for 15-20 minutes. Follow this treatment two to three times in a week for a few months. Honey has antimicrobial properties. Thus, it inhibits the growth of bacteria. Plus, cinnamon has anti-inflammatory and antioxidant properties. Both the ingredients are safe to use on hair and scalp (unless you are allergic to them). In fact, cinnamon also stimulates hair growth and lightens hair color. In addition, when choosing hair styling products opt for oil-free noncomedogenic hair products because they do not block the pores. Besides, you can try using a scalp acne shampoo. In case you have dandruff, you can use an anti-dandruff shampoo containing ketoconazole or ciclopirox. Furthermore, avoid using conditioner on scalp; instead rub it an inch away from the scalp. As these pimples are similar to those that appear on your face, neck, back, etc., you may use acne creams and gels containing salicylic acid. Benzoyl peroxide is also considered good for getting rid of acne, but it has bleaching properties. Thus, it may bleach your hair. Sulphur powder, too, is not suggested because some people have reported their acne becoming worse after this treatment. For severe scalp acne though, your dermatologist may recommend oral or topical medications. Looks like thorough research. 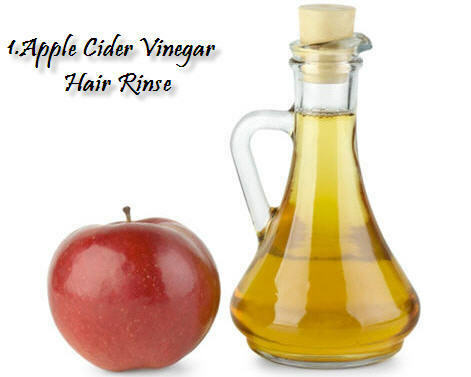 I have tried many ways to cure itchy scalp (not dandruff), including vinegar rinse, but will continue to use your method. Cannot imagine putting honey in my hair, but might even try that one.